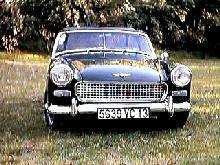 In 1958 BMC launched a new, small sports-car based on well proven Austin A35 mechanical parts. 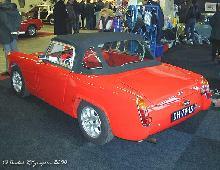 The new car was known as the Austin Healey Sprite and would be produced at the MG factory in Abingdon. The Sprite introduced a whole new concept in sports-car ownership that would later be copied by Triumph and MG. 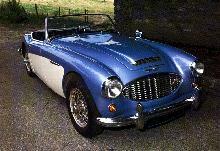 The Sprite consisted of a twin carb A35 engine, 948cc, A-Series engine driving the rear wheels via a four speed gearbox. 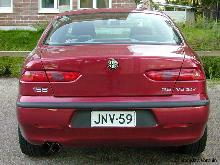 The body was of a simple design with no external boot access and with minimal decoration. The one-piece bonnet was originally designed to include pop-up headlamps, however the mechanisms proved to complex and so the lamps were mounted in a fixed pod. 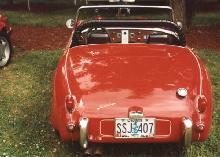 This unusual styling feature actually added to the cars "cute" appeal and it quickly gained the nickname "Frogeye" (or "Bugeye" in the USA) Sprite. 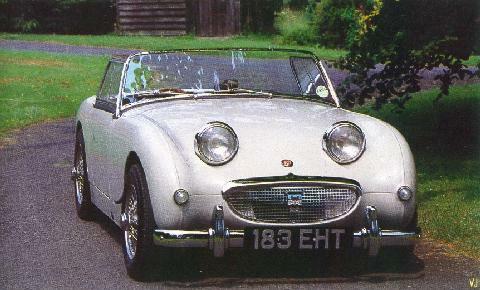 Practical Classics August 2001 - Featuring Buyers Guide Frogeye Sprite, Austin-Healey Sprite Mk I available. Click here to view in our shop. Practical Classics October 2009 - Featuring Buyers Guide Austin Healey Sprite and MG Midget (1958-1979). Click Here to view in our shop.